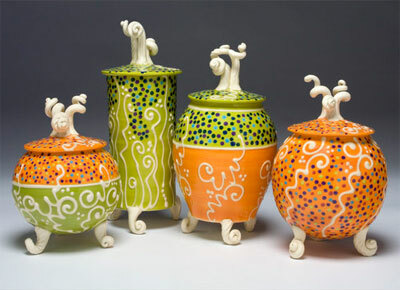 I have only ever wanted to make a line of pots that were distinctly my own. 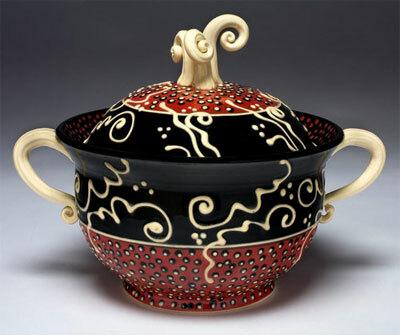 Based upon an art degree in Ceramics from Berea College, I applied my apprenticeship experience to my own work through research I did into 17th century English slip ware. 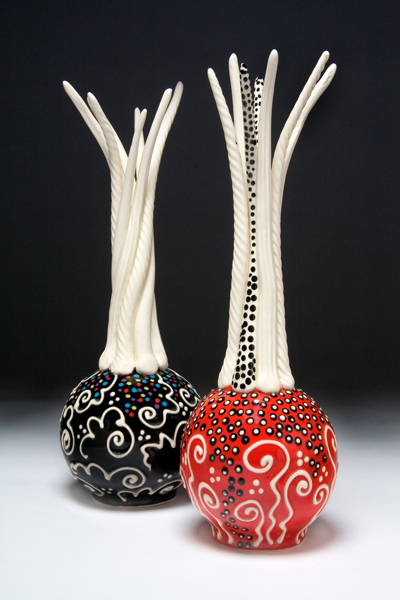 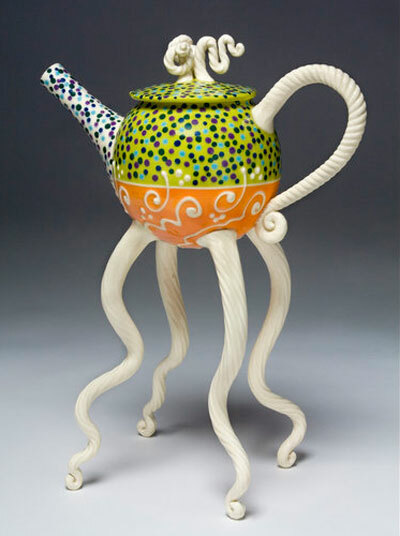 I discovered as I worked with slip trailing, my own voice emerged in combining functional pots with animated handles knobs and eventually legs. 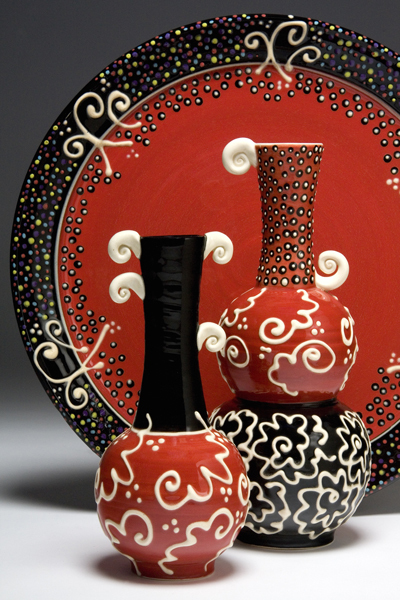 The surface decoration went from bands of pale color with simple dots, to entire surfaces encrusted with bright colors & bits of pattern drawn from nature, antiquities & other cultures. 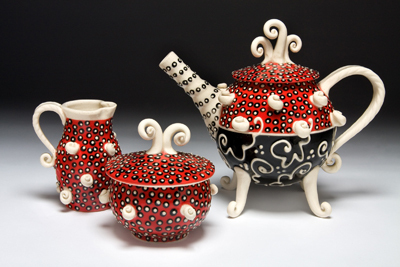 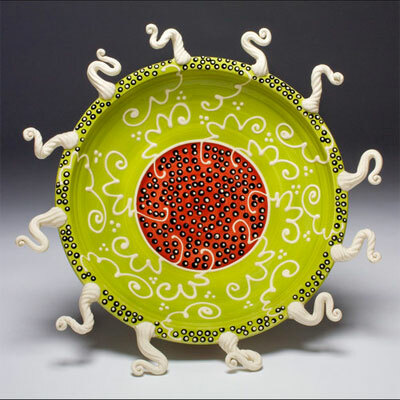 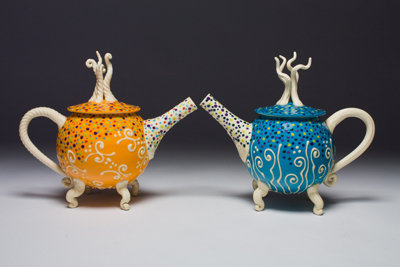 After 24 years of potting I produce a lyrical line of earthenware that is not only functional but unique & entertaining as well.